Aussie film director Baz Luhrmann has created a limited-edition bottle for vodka brand Absolut, aimed at celebrating Australia. The bottle, called Absolut Oz, was created by Luhrmann while he was filming the final stages of the feature film, The Great Gatsby. “Working for the last three years on F Scott Fitzgerald’s famous novel, it has been very hard not to think about alcohol, as, after all, the Roaring 20s were a time of Prohibition, when, of course, everyone drank. “My wife Catherine and I did our research. For Catherine it is about the champagne. But for me it is about the cocktail. And it is hard to think about the cocktail without thinking about great vodka,” says Luhrmann. “Absolut Oz is a distillation of the unifying truth that we are all equal under the sun”, Luhrmann adds. “While creating the drinks which feature and celebrate Absolut Oz, we reflected on that moment when the sun dips below the horizon and, as we say in the movies, the magic hour is upon us”, he adds. Luhrmann has also worked closely with Absolut to create four special cocktails, each of which is a ‘toast’ to four famous beaches around Australia. They are The Tama-Glama, The Hells Bells Beach, The Cable Beach ‘Stairway to the Moon’ and The South Avoca Elevator. 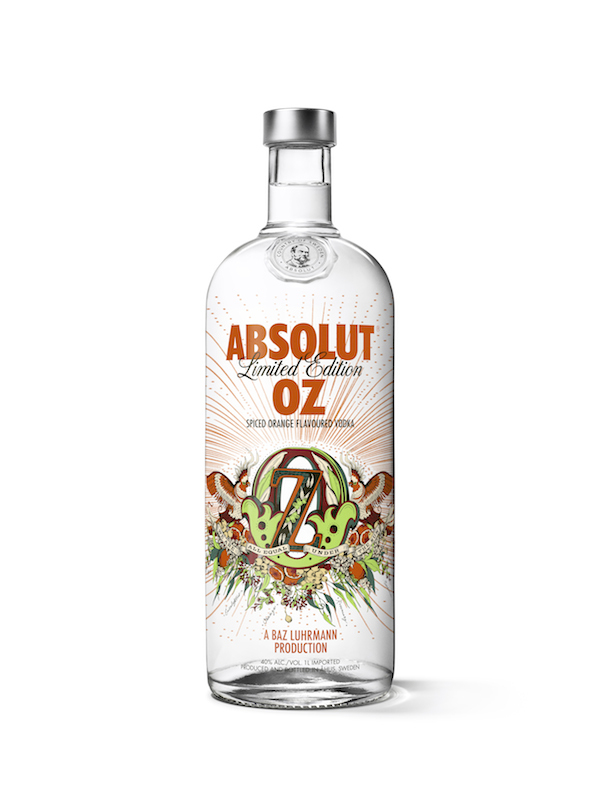 “We are extremely pleased and proud to be collaborating with one of the great visionary minds of the contemporary world in Baz to realise the first Australian Absolut limited edition. Baz is one of the world’s renowned inspirations in creativity. Working with Absolut, Baz has captured the unique essence of Australia,” says Julien Hemard, managing director at Pernod Ricard Australia. Absolut Oz – subtitled ‘A Baz Luhrmann Production’ – is the first Australian limited edition Absolut Vodka which joins a notable repertoire of other editions celebrating iconic global destinations including Absolut London, Absolut Brooklyn (NYC), Absolut Mexico and Absolut SF (San Francisco). This innovative approach in creating new and inspiring limited editions has maintained Absolut Vodka’s positioning at the very zeitgeist of the spirits sector for over two decades. 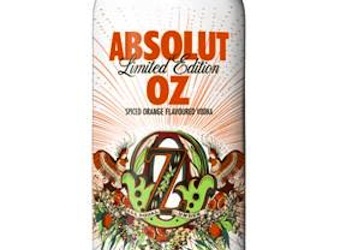 Absolut Oz will be on shelves in March and will feature a specially designed neck tag with story notes, images and recipes for each of the four cocktails created by Luhrmann.